“That’s just the way the father is” by Kurt Carr is an all time favorite for me. I used to play it so much back in the day that one of my friends said it was because it was my husband (then fiance) that took the solo part of the song when we sang it in church as a choir that I loved the song that much. Who wouldn’t love this song anyway? The lyrics are just so well put together that they inspire a lot. The Father’s love is simply incomparable with any other kind of love. His love never fails. Be encouraged by listening to this song on this #Song_day. [Verse 1] How could He love me? How could He know me? How could one so awesome, ever care so much for me? How could He love man, enough to redeem man? How could He sacrifice, His only son to set me free? 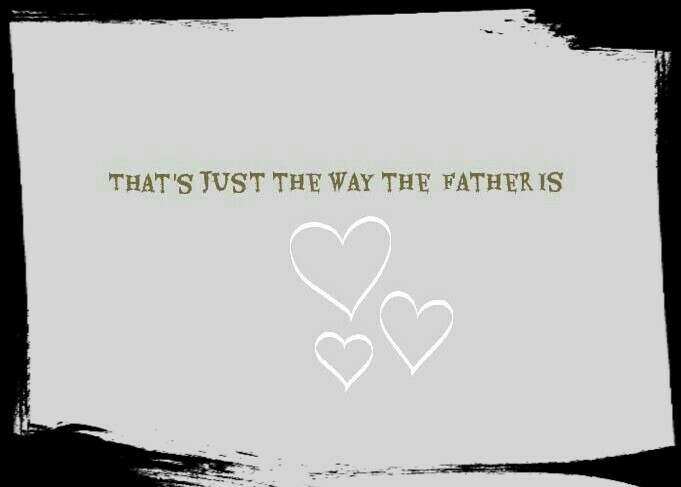 [Chorus] That’s just the way the Father is. He’ll be a friend when you’re not His. That’s just His way, that’s just the way He is. He’s nothing like your other friends. He’ll be with you until the end. [Verse 2] Why did He choose me? And why does He use me? How could He put, His trust in me, to carry out His will, ohhh. How could He love me, knowing all He knows about me? How could He look beyond my faults and find success in me? He’s great & He’s faithful. Morning by morning, a brand new mercy I see, ohhhhhhhh. I don’t always live like I ought to live, but He loves me. I don’t always pray like I ought to pray, but He blesses me anyway. That’s just the way, the Father, is.